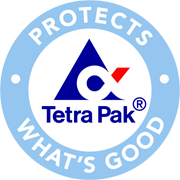 In this category of instruments Tetra Pak supply an extensive range of flow meters for accurate and reliable product and media flow metering. Electromagnetic flow meters for all kind of volumetric flow metering such as liquid products, water, CIP solutions etc.Mass flow meters are used for metering of mass- and volume flow in liquid products and fluids without conductivity where high accuracy is essential. Mass flow meters can include density and brix metering.